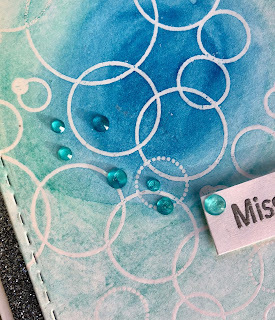 As Seen In My Scrapbook| Life Papercrafting: Most Favorite Card Technique! 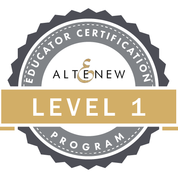 Today I am sharing a couple of cards I created for the Altenew Impressive Heat Embossing class. I so LOVE heat embossing, there is something so exciting and satisfying watching embossing powder melt. 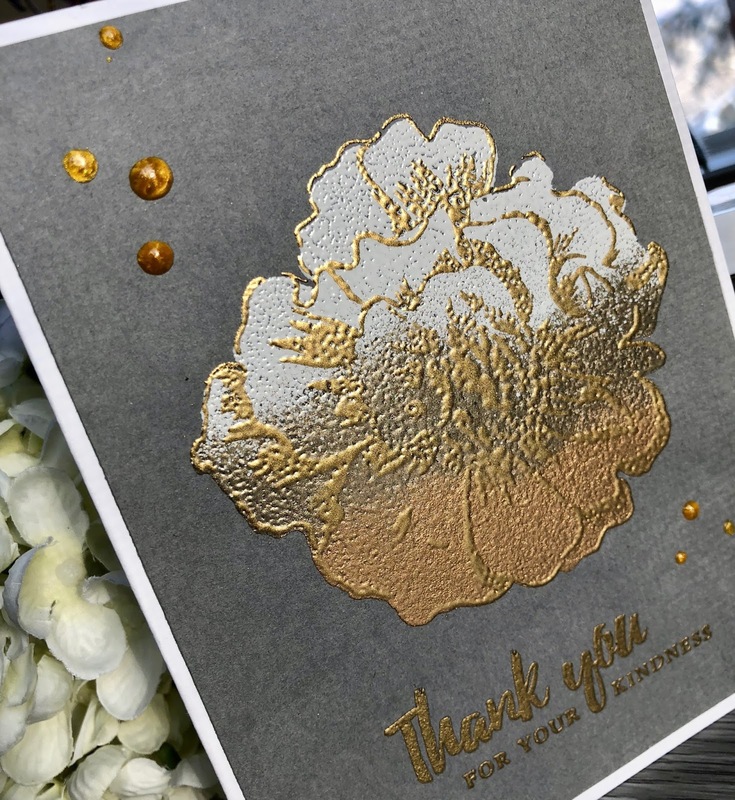 I generally only heat emboss on my Christmas cards so this class opened up soooo many options for heat embossing all year round! This first card was inspired by the lesson on heat embossing for a resist effect. To begin, I applied anti-static powder to a 5.5" x 4.25" piece of water colour paper. 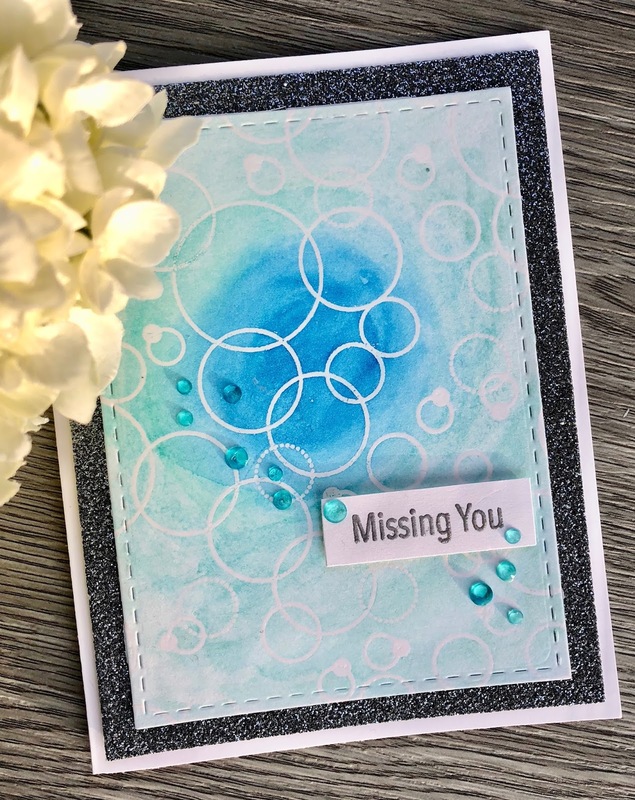 I then used my Misti to stamp the Altenew Pattern Play Circle background stamp with Versamark ink. 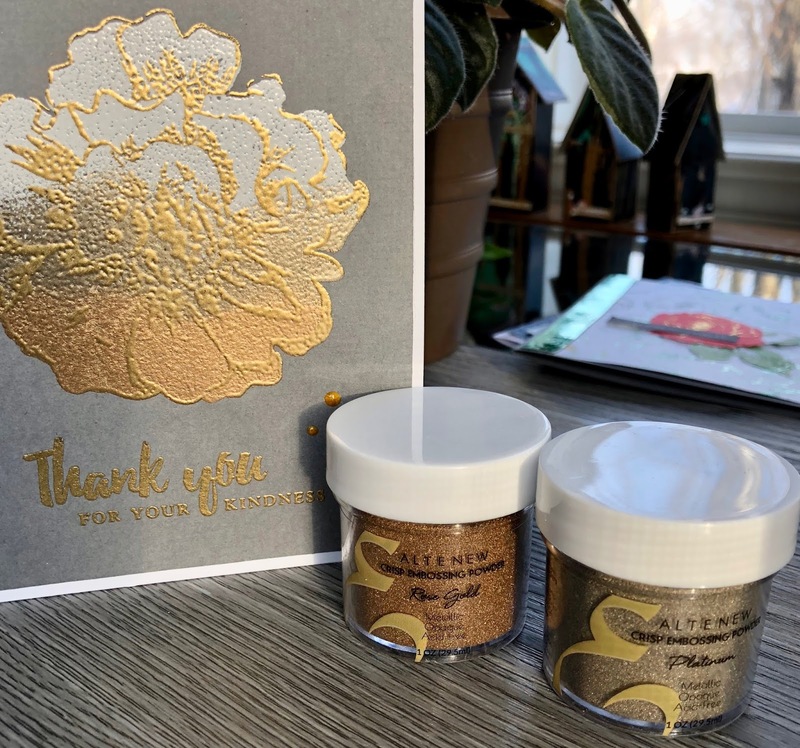 I applied ink and stamped a couple of times to ensure I had good ink coverage, covered with clear embossing powder and heat set. 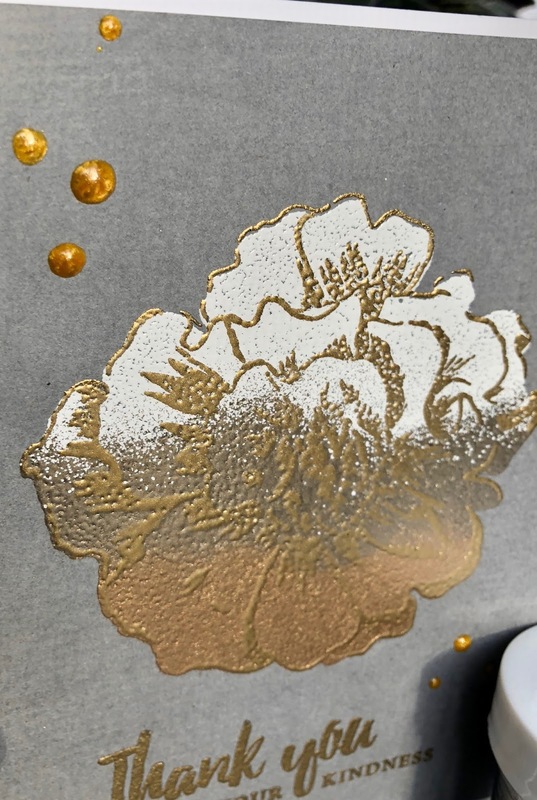 The image looks like it was embossed with white embossing powder because the paper is a white. I coated the paper with water and then began applying watercolour with the darkest ink and working my way outwards with the lightest blue-green shade of the Daniel Smith watercolours. I went back and darkened up all the ink shades with similar colours of Kuretake Gansai watercolours. Once the paper had dried, I die cut the paper with an Elizabeth Crafts stitched rectangle die and layered it over dark silver glitter card stock also die cut with an Elizabeth crafts stitched rectangle die from the same set. I stamped 'Missing You' in Versamark ink and heat set with Altenew Platinum Crisp Embossing Powder, the sentiment is from the Pattern Play set. 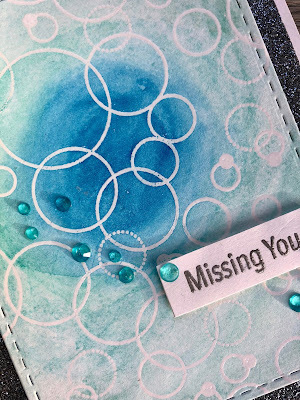 I completed the card with a smattering of Studio Katia Ocean Waves crystals. 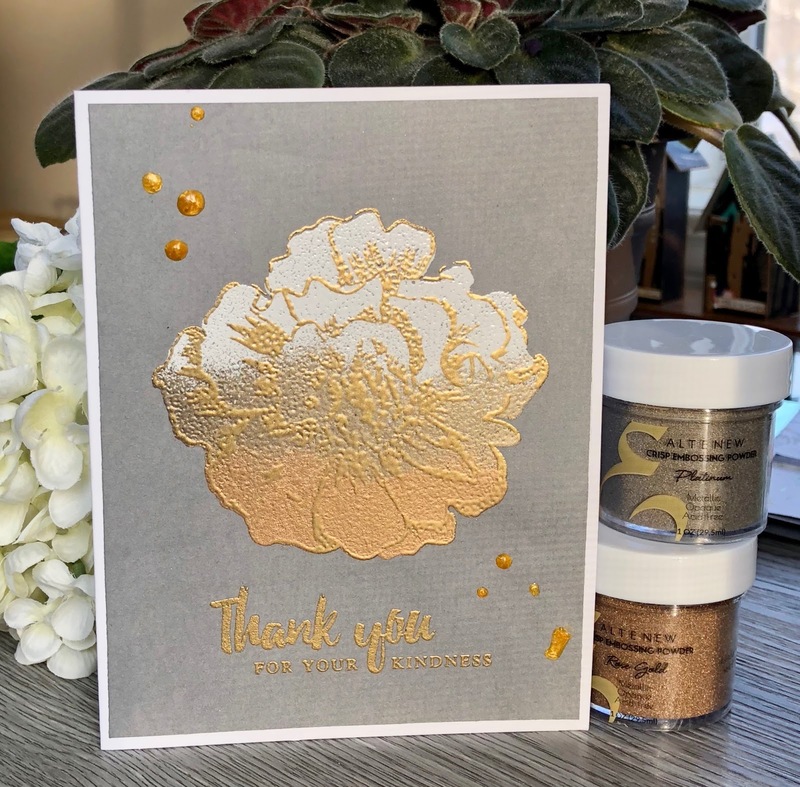 To begin, prep the card stock with anti static powder and using a stamp positioner (I used a Misti), stamp the solid image from the Altenew Camelia Build a Flower stamp set with Versamark Ink. Stamp the image a couple of times to ensure you have very good ink coverage for the embossing powder. Starting with the lightest colour, sprinkle a portion of the image with white, followed by platinum, then rose gold. Make sure to tap your paper firmly to ensure all loose powder does not adhere where you don't want it. Heat set the powder with your heating tool, let cool and then prep for the outline embossing with an anti-static tool. Stamp the camellia outline stamp with Versamark ink, cover image with gold embossing powder and heat set. 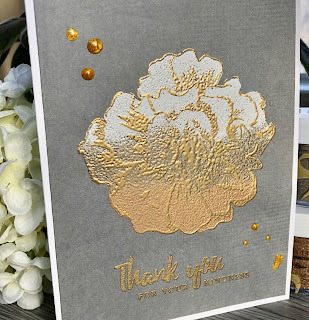 To complete the card, gold emboss a sentiment from the set in the lower left corner, then embellish with drops of Imagine crafts gold spray. 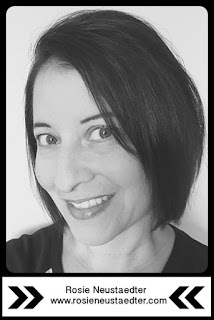 Thanks for taking the time to stop in and I hope you've been inspired in some small way! FABULOUS take on the projects with heat embossing! 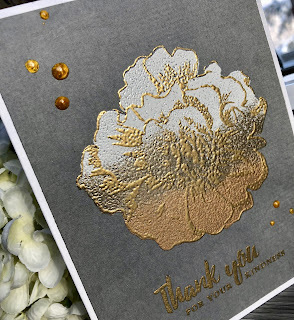 Love the variation of the embossing powder on 2nd card! Your execution is absolutely superb!